Hi Jake, Just wanted to say a huge thank-you from Mark and I for our beautiful ceremony. 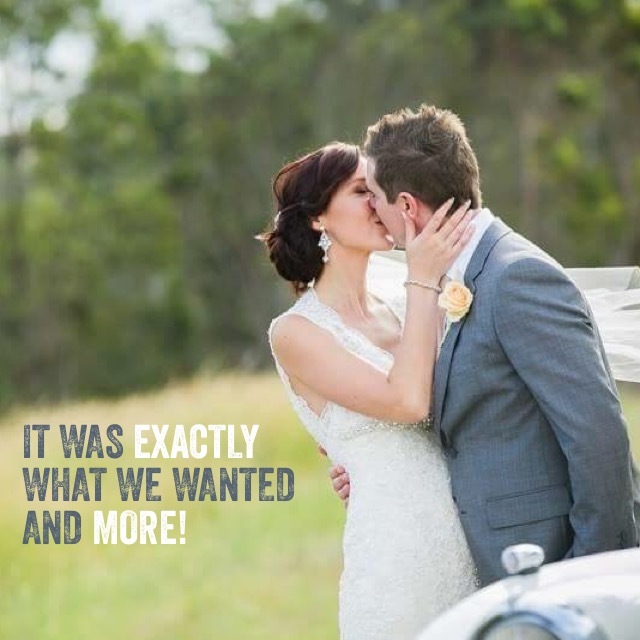 It was exactly what we wanted... and more! The whole day was perfect. Thanks also for your calming influence and putting my mind at ease through the whole process. Once again, many thanks for everything!